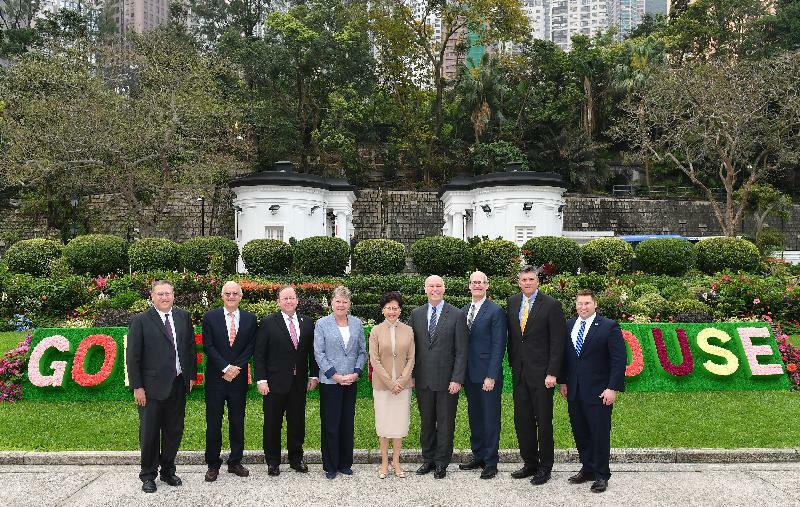 The Chief Executive, Mrs Carrie Lam, accompanied by the Acting Secretary for Commerce and Economic Development, Dr Bernard Chan, met with the visiting Co-Chairs of the Congressional US-China Working Group (USCWG), Mr Rick Larsen and Mr Darin LaHood, and four members of the USCWG this morning (March 18). The President of the National Committee on US-China Relations, Mr Stephen Orlins, and the Consul General of the United States to Hong Kong and Macau, Mr Kurt Tong, also attended the meeting. Mrs Lam welcomed the visit of the congressmen to see for themselves Hong Kong's latest developments and situation. She pointed out that since its return to the motherland, Hong Kong has successfully implemented "One Country, Two Systems". In particular, the rule of law and judicial independence, fully protected by the Basic Law, are the cornerstones of the city's success and key factors in maintaining the confidence of the business sector. She said that Hong Kong ranks among the best in the world in terms of judicial independence and the rule of law, and that justice is further safeguarded with the city's comprehensive legal aid system. She also stressed that Hong Kong is an inalienable part of the People's Republic of China. It has the constitutional duty to safeguard national security, sovereignty and territorial integrity, and exercises a high degree of autonomy in accordance with the Basic Law. Mrs Lam said that Hong Kong and the US have close economic and trade ties and that the US is Hong Kong’s second largest trading partner and enjoys the highest trade surplus with Hong Kong among all other economies, with the US goods trade surplus with Hong Kong reaching US$31.1 billion last year. Among the 8 754 business operations in Hong Kong with parent companies overseas and in Mainland China, more than 1 300 are from the US, of which more than half are operating as regional headquarters or regional offices in Hong Kong. She expressed the hope that Hong Kong and the US will strengthen mutually beneficial co-operation, expanding common interests. Mrs Lam pointed out that Hong Kong is striving to advance the development of innovation and technology and welcomed more US institutions and technology enterprises to establish a presence in Hong Kong. 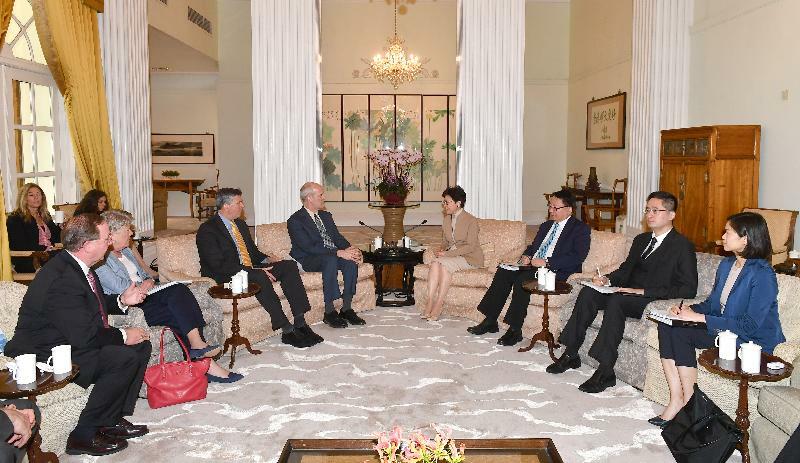 She also said she hopes that Hong Kong and the US will strengthen exchanges and collaboration in various aspects such as culture and arts, youth exchanges and mutual assistance between law enforcement agencies. During its stay in Hong Kong, the USCWG has also met the Secretary for Justice, Ms Teresa Cheng, SC, and the Secretary for Commerce and Economic Development, Mr Edward Yau.